President Trump needed the vote of just one more Republican senator to keep the repeal-and-replace process alive — and he could easily have had it. Party sources tell us that during the transition, Senate Republicans heavily lobbied Trump to nominate red- state Senate Democrats to Cabinet positions, with the hope that the successors would be Republicans. But Trump went with an all-GOP Cabinet — a fateful decision that fostered this scorched-earth atmosphere, in which no Democrat is willing to help him with his legislative priorities. The #1 prospect was Sen. Heidi Heitkamp (D-N.D.), perhaps for Secretary of Agriculture. North Dakota Gov Doug Burgum is a Republican, so he could have engineered a successor who would have been the vote Trump needed. 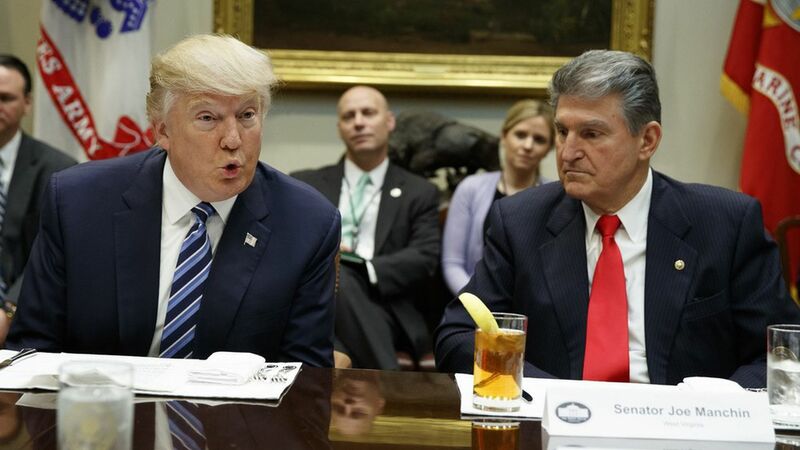 Another possibility that was kicked around was Sen. Joe Manchin (D-W.Va.) for a job like Secretary of Energy. West Virginia Gov. Jim Justice is a Democrat but has a close relationship with Senate Majority Leader Mitch McConnell (R-Ky.), and might have played ball on a conservative replacement. Another Cabinet prospect: Sen. Jon Tester (D-Mont.). Why it matters: A Republican strategist, closely familiar with the transition conversations, say in an email: "That vote would have repealed Obamacare last month [the stronger version that was considered before the Fourth of July break]. A strong Chief [of staff] would have understood and executed on that wisdom instead of waiting and watching the President's agenda lose by narrow margin. "In short, if [Gen. John] Kelly — or someone of equal strength — was the Chief of Staff in January, Obamacare would be repealed today. And who knows what else may already be accomplished."